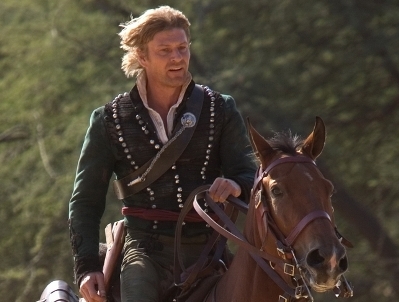 Sean is known best for his performance as ‘Richard Sharpe’ in the British mini-series based on the books by Bernard Cornwell and has the reputation for being a heartthrob. 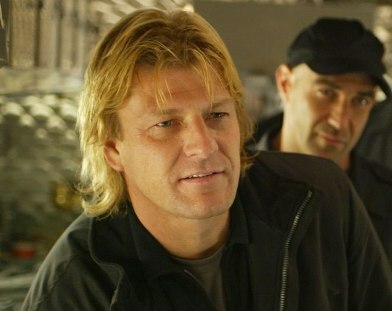 In North America he is known more for his bad guys roles (Patriot Games, GoldenEye, National Treasure). But, Sean’s first professional acting break was on the stage, as Tybalt, in The Royal Shakespeare Company’s “Romeo & Juliet” in 1983 and has gone non-stop ever since. 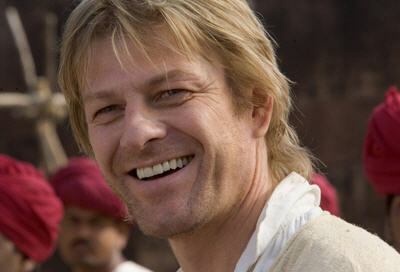 A charismatic screen presence, Sean Bean has proven equally effective as romantic leads and villains. Born and raised in Sheffield in the north of England, the lanky blond actor has retained his Yorkshire accent which has helped to set him apart from his contemporaries. Shaun Mark Bean was born in April 17, 1959, in Sheffield, Yorkshire, England, to Brian and Rita Bean, He is the oldest of him and his sister Lorraine. He is 5’10” (give or take) and has strawberry blonde hair and green eyes. Bean finished grade school with two O-levels at age 16. Before Sean knew he wanted to be an actor he worked a variety of odd jobs like selling cheese in the supermarket, shoveling snow and working in his father’s welding shop before deciding to enroll in art school. Three schools later, he took an acting class at Rotherham College and found his mitier, performing in such shows as “Cabaret” and “The Owl and the Pussycat”. Sean soon discovered his knack for acting and successfully obtained a scholarship for RADA (Royal Academy of Dramatic Art, London) in 1981. He graduated with a silver medal for his final performance in “Waiting for Godot” in 1983. After graduating in 1983, Bean made his professional stage debut (billed as Shaun Behan) as Tybalt in “Romeo and Juliet” in Berkshire, before heading north to Scotland and work with the Glasgow Citizens Theatre). 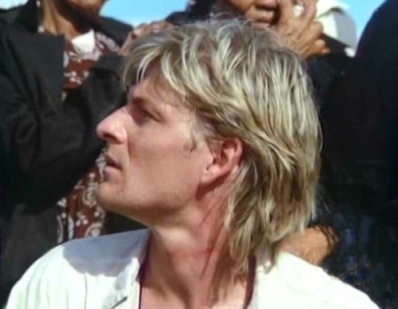 In 1984, Bean began to land roles on the small screen (e.g., the telefilm “Winter Flight”) and two years later joined the prestigious Royal Shakespeare Company where he acted in repertory (including playing Romeo to Niamh Cusack’s Juliet). He made his feature debut in Derek Jarman’s film “Caravaggio” (1986) and reunited with the director on “War Requiem” (1988). Bean had his first notable film role as an Irishman who becomes involved with shady characters in the moody, jazz-influenced “Stormy Monday” (1988), directed by Mike Figgis. 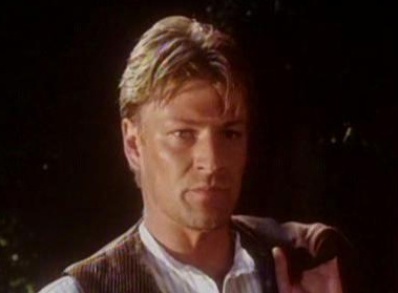 He shone as Richard Harris’ repressed son in “The Field” (1990) and proved an effective romantic lead in both the period drama “Clarissa” (BBC, 1991) and “Lady Chatterley” (BBC, 1992). 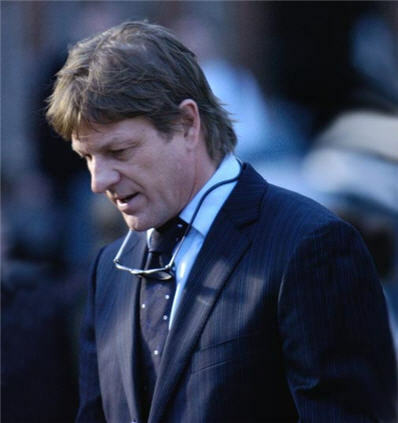 Although he would become established as a star with his terrific portrayal of Napoleonic-era soldier Richard Sharpe in a series of 14 TV-movies between 1993 and 1997, Bean became the actor most sought after to play villains following his believable turn as an IRA gunman in “Patriot Games” (1992). 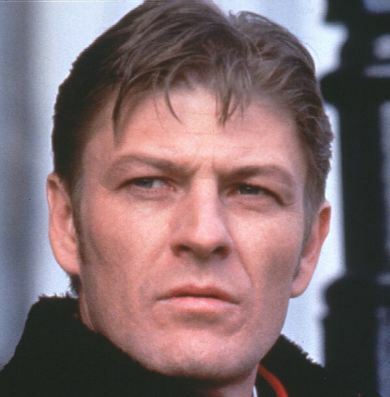 Among the more memorable figures in his rogues’ gallery are the despicable Earl of Fenton in the 1994 CBS miniseries “Scarlett”, Alec Trevelyan, Agent 006, in the James Bond film “GoldenEye” (1995), weapons expert Spence in “Ronin” (1998), a wife-beating ex-con in “Essex Boys” (2000) and the malevolent kidnapper-jewel thief in “Don’t Say a Word” (2001). That’s not to say that the actor hasn’t demonstrated a heroic or romantic side. 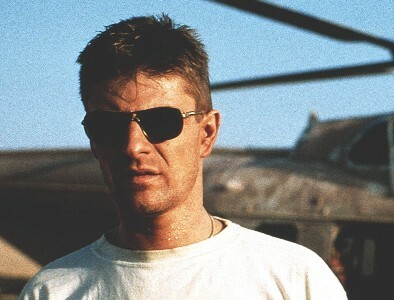 He was appropriately dashing as Vronsky in the 1997 remake of “Anna Karenina” and garnered praise for his work as real-life British soldier Andy McNab who led a secret mission during the Persian Gulf War in the British TV drama “Bravo Two Zero” (1999). American audiences became further familiar with the handsome actor when he was featured in a series of TV commercials for Acuvue contact lenses. Bean also reached a wide audience playing the proud but temptation-weak warrior Boromir in the Peter Jackson-directed adaptation of J.R.R. Tolkein’s novel “Lord of the Rings: The Fellowship of the Ring” (2001). After roles in the futuristic thriller “Equilibrium” (2002) and the off-kilter comedy “The Big Empty” (2003), Bean returned to epic-style film-making when he played the legendary Greek hero Odysseus in “Troy” (2004), the big screen adaptation of Homer’s tale of the Trojan War, followed by a turn as Nicolas Cage’s villainous rival in the popular if unambitious adventure film “National Treasure” (2004). 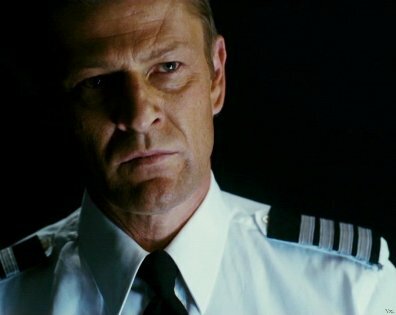 Next was another villain, this time the head of a duplicitous cloning facility in the Michael Bay-directed sci-fi thriller “The Island” (2005), followed by the captain of an airline flight who refuses to believe the missing daughter of a passenger (Jodie Foster) was ever aboard in the thriller “Flightplan” (2005). Shifting gears, Bean next showed a rarely seen warmer side and a potent dose of charm in the drama “North Country” (2005), playing the protective and sympathetic husband of a female miner (Frances McDormand) whose friend (Charlize Theron) launched the first-ever sexual harassment lawsuit against a corporation. In “Silent Hill” (2006), a supernatural horror feature based on the popular video game, Bean played the husband of a desperate mother (Radha Mitchell) trying to find an answer for her daughter’s mysterious recurring dream that pulls her out of bed to sleepwalk. Against her husband’s objections, she takes her to a fog-shrouded ghost town inhabited by a variety of strange beings, including demons, and overcome by a living darkness that transforms everything it touches. Despite negative reviews, “Silent Hill” opened number one at the box office with over $200 million in box office dollars and is considered a classic in the gaming world. In recent years Sean has barely slowed down, although he is now in a positon to live life slower and to concentrate on special projects and take on smaller but more challenging roles in independent features like “Far North” and “Ca$h”, he is still in demand for mainstream projects such as the HBO fantasy series “Game of Thrones” and has set the voice talent standard for the gaming world with his voicing of Martin Septim in “The Elder Scrolls: Oblivion” and more recently as the voice of “Papa Sangre” for Apple’s Iphone. 2006 and 2008 saw him return to the role he is most proud of: Napoleonic soldier Richard Sharpe for ITV’s “Sharpe’s Challenge” and “Sharpe’s Peril”. He was also seen in 2009 in the adaptation of the Red Riding books about the Yorkshire Ripper for ITV. 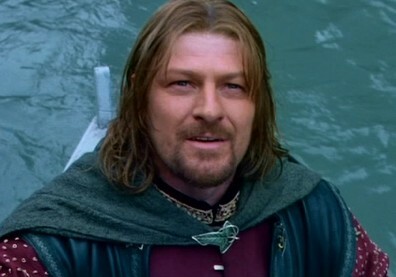 Sean bears several trademarks, including his “100% Blade” tattoo on his left arm (football team [UK], Sheffield United), the number 9 in Elvish on his right arm (nine members of the Fellowship in “LOTR” where he played Boromir, SUFC on his left wrist in honour of the Blades promotion as well as a scar above his left eye. The scar was from Harrison Ford during the filming of “Patriot Games”. Whilst fighting, Harrison accidentally cut him with a boat hook, requiring eight stitches! Along with his Blades tattoos and his devotion to his home team, Sean is very devoted and stays true to his Sheffield roots. Always trying to make his hometown a better place, he won “Yorkshire Man of the Year” in 2002. He has also been awarded two honourary degrees: Doctor of Letters from Sheffield Univerisity, 1997 and Doctor of Letters from Hallam University, 2007. He quietly supports an ever-growing number of charities including The National Osteoporosis Society and The Royal Hallamshire Leukemia Fund. Sean has been married four times and divorced four times to Debra James, Melanie Hill, Abigail Cruttenden and Georgina Sutcliffe. He has three daughters, two with Melanie, Lorna and Molly, and one with Abigail, Evie Natasha. At present, he is single and dating. Natasha Semenova on Hello Beanophiles! Susan Ingham on Hello Beanophiles! Liz Older on Hello Beanophiles!